Danish divers discover plastic bags containing missing journalist Kim Wall's head, legs, and clothes. 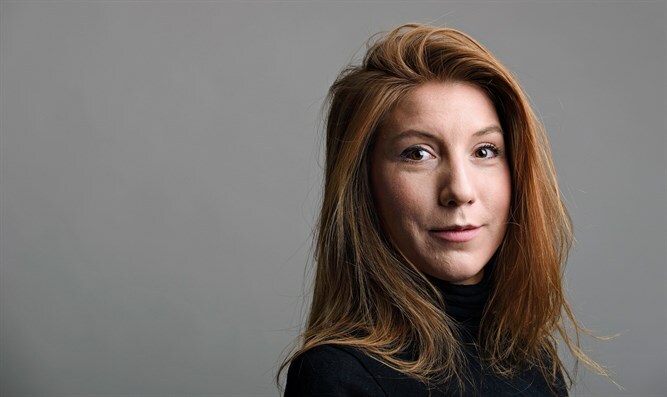 Swedish journalist Kim Wall's head, legs, and clothes was discovered on Friday by Danish divers. Wall went missing in early August, while in taking a trip in Danish inventor and rocket scientist Peter Madsen's homemade submarine. Her headless body was found on a Copenhagen beach two weeks later, on August 22. She had boarded the craft as part of a story she was writing. "Yesterday morning we found a bag within which we found Kim Wall’s clothes, underwear, stockings and shoes. In the same bag laid a knife, and there were some car pipes to weigh the bag down," Police investigator Jens Moller Jensen told BBC News on Saturday. According to a police spokesman, the skull showed no fractures or "any sign of other blunt violence," and the cause of death has not yet been established. The spokesman also noted that Wall's arms have not yet been found. Earlier this week, a police prosecutor said images of women being strangled and decapitated were found on a computer in one of Madsen's laboratories. Madsen denied responsibility, claiming the computer was used by everyone in the lab. Madsen, 46, admitted in court that an "accident" happened, after which he tossed Wall's body into Koge Bay. Previously, he claimed he had let Wall off at an island well before the submarine sank. He is currently being tried for manslaughter, and police suspect he purposely caused the submarine to sink before he was rescued. The submarine, UC3 Nautilus, is one of three submarines Madsen has built. It is 17 meters (58 feet) long and can hold up to 18 people.